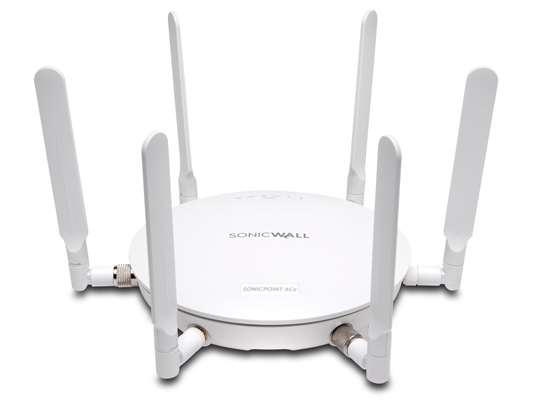 SonicWALL "Wireless Network Security" Promotion: Get approximately 30 percent off on SonicPoint N2/ACe access points. SonicWALL Wireless Network Security solutions combine highperformance IEEE 802.11ac wireless technology with industry-leading next-generation firewalls. As a result, they deliver enterprise-class wireless performance and security while dramatically simplifying network setup and management. SonicWALL SonicPoints take advantage of the latest capabilities in 802.11ac to deliver up to 1.3 Gbps of wireless throughput — three times that of 802.11n. This enterprise-level performance enables WiFi-ready devices to connect from greater distances and use bandwidth-intensive mobile apps, such as video and voice, in higher density environments without experiencing signal degradation. Built-in dual radios allow the SonicPoint ACe and ACi to dedicate one radio to the less crowded 5 GHz frequency band, ensuring minimal interference and a higher signal quality, while the second radio operates at the 2.4 GHz band to support legacy 802.11b/g/n clients. 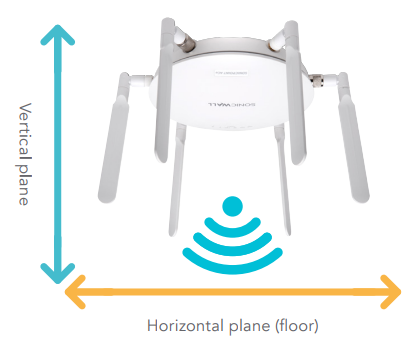 With multiple antennas at the transmitter and receiver and support for 3x3 MIMO, SonicPoints are engineered to optimize signal quality, range and reliability. In addition to intrusion prevention, SSL decryption and inspection, application control and content filtering, the Wireless Network Security solution also integrates additional security-related features, including wireless intrusion detection and prevention, virtual access points, wireless guest services, cloud access control list and more. SonicWALL Wireless Network Security solutions greatly simplify deployment and setup while reducing total cost of ownership (TCO). Integrated into every SonicWALL firewall is a wireless controller that auto-detects and auto-provisions SonicPoints across the network. Ongoing management and monitoring of SonicPoints and security are handled centrally through the firewall or through the SonicWALL Global Management System, providing network administrators with a single pane of glass from which to manage all aspects of the network - both wired and wireless. Superior wireless performance and range The SonicPoint ACe and SonicPoint ACi are based on the 802.11ac standard, which can achieve a data rate of up to 1.3 Gbps, or 3x that of 802.11n, while maintaining a higher performance level at greater ranges depending on environmental conditions. Enhanced signal quality The 802.11ac standard operates in the 5 GHz frequency band, which has fewer wireless devices competing for airspace and is therefore less prone to signal interference. In addition, 802.11ac uses wider 80 MHz channels and has more non-overlapping channels than 802.11n, which operates in the 2.4 GHz frequency band. All of these features combined yield a higher quality signal. Increased wireless reliability The increase in bandwidth capacity and greater number of spatial streams combined with 3x3 MIMO and the improved processing offered by 802.11ac, result in more reliable wireless coverage. FairNet wireless bandwidth allocation SonicPoints support FairNet, which guarantees a minimum amount of bandwidth to each wireless client in order to prevent disproportionate bandwidth consumption by a single user. Reassembly-Free Deep Packet Inspection technology SonicWall next-generation firewalls tightly integrate Reassembly-Free Deep Packet Inspection (RFDPI) technology to scan all inbound and outbound traffic on wired and wireless networks and eliminate intrusions, spyware, viruses and other threats before they enter the network. Wireless intrusion detection and prevention Wireless intrusion detection and prevention scans the wireless network for unauthorized (rogue) access points and then the managing firewall automatically takes countermeasures, such as preventing any connections to the device. Granular security policy enforcement Network administrators can implement and enforce firewall rules on all wireless traffic and control all wireless client communications to any host on the network — wired or wireless. Simplified setup and centralized management SonicPoints are automatically detected, provisioned and updated by the wireless controller in the managing SonicWall SuperMassive, NSA or TZ Series firewall. WLAN administration is also handled directly from the managing firewall, simplifying setup and centralizing ongoing management. Plenum rated SonicPoints are plenum rated for safe installation in air-handling spaces such as in or above suspended ceilings. Broad standards and protocols support SonicPoints support a wide range of wireless standards and security protocols, including 802.11 a/b/g/n/ac, WPA2 and WPA. This allows organizations to leverage prior investments in devices that are incapable of supporting higher encryption standards while easing migration to 802.11ac. Green access points SonicPoints reduce costs by supporting green access points, which enables both radios to enter sleep mode for power saving when no clients are actively connected. The SonicPoint will exit sleep mode once a client attempts to associate with it. Certified by the Wi-Fi Alliance SonicPoints are certified by the Wi-Fi Alliance. This validates them as interoperable with a diverse sampling of other certified equipment operating in the same frequency band. SonicWall Wireless Network Security is the ideal solution for organizations of all sizes and types looking to build a secure, highspeed wireless network. 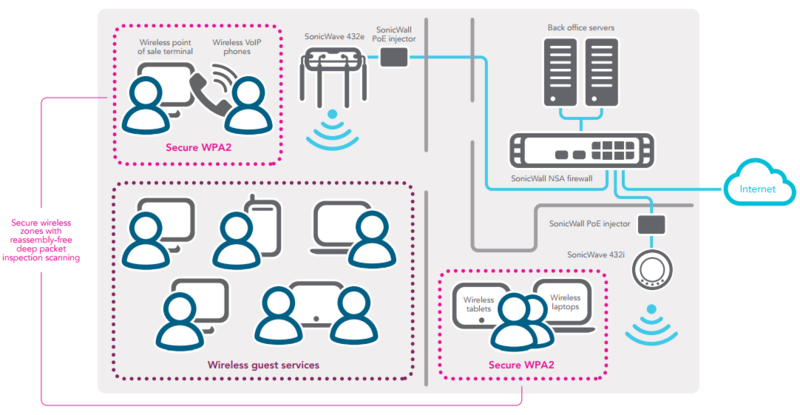 Deploying SonicPoints in combination with a SonicWall next-generation firewall provides enterprise-class wireless performance and security for businesses, schools, hospitals and other organizations. Comprehensive Gateway Security Suite includes gateway anti-virus, gateway anti-spyware, intrusion prevention, content filtering and 24x7 support. SonicWall Wireless Network Security is perfect for small offices, such as retail or point of sale (POS) businesses, school classrooms, medical/dental businesses and banks. 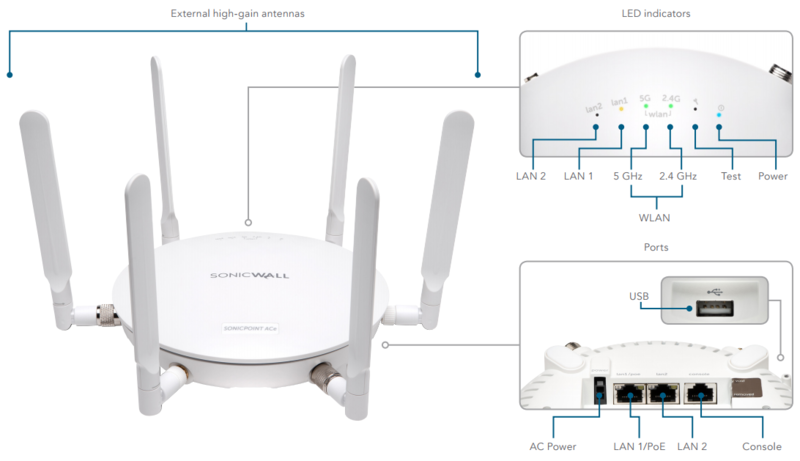 By combining SonicPoint ACe and SonicPoint ACi wireless access points with a SonicWall firewall, these organizations can quickly extend wireless network access while providing deep packet inspection for both wired and wireless traffic at the gateway before allowing access to sensitive resources. SonicWall wireless guest services offers password-enforced customer access to the Internet, while virtual access points provide logical segmentation of secure wireless network traffic and in-the-clear customer access. 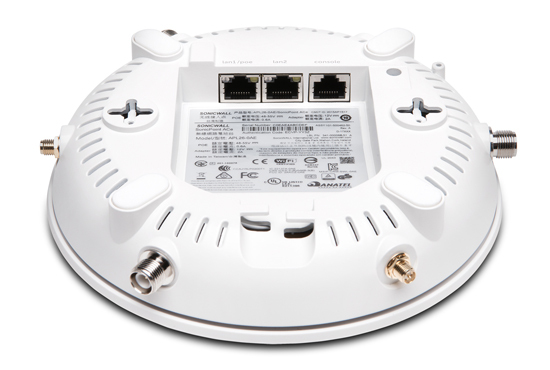 SonicPoint ACe and SonicPoint ACi provide gigabit wireless performance with greater signal range and reliability. SonicPoint wireless access points are auto-discovered and auto-configured by the central management gateway, easing deployment. SonicPoint wireless access points enable employees to securely access network resources from the wireless network using SSL VPN or WPA2. 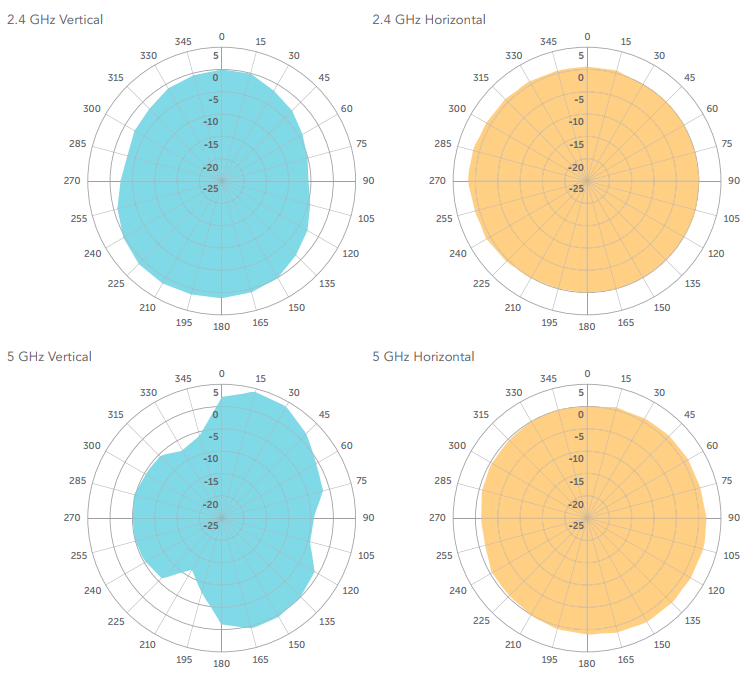 Virtual access points create secure segmentation between trusted and un-trusted wireless users by allowing broadcast of up to eight unique SSIDs. SonicPoints allow the dedication of one radio to rogue access detection while the other supports users, helping achieve and maintain regulatory compliance. In distributed network environments that have a higher density of client associations, such as businesses with remote and branch offices, college campuses, school districts and healthcare provider networks, SonicPoint wireless access points provide superior wireless signal performance, range and quality. Employees, students and customers can securely access network resources on the wireless network using SSL VPN or WPA2. 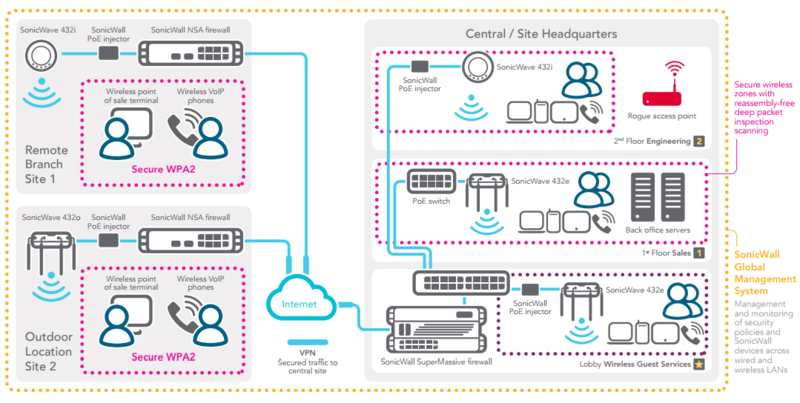 Using SonicWALL GMS, administrators can centrally manage every SonicPoint across the entire network, including creating and enforcing wireless policies, which eliminates the need for a separate wireless controller and reduces the total cost of ownership. This PoE Injector is required For SonicPoint-N Dual Radio, ACi, ACe, and N2 Access Points.